33 via an apprenticeship with Multiplex Constructions. I did a pre-apprenticeship course (Certificate 3 in Building and Construction - Framing and Formwork) at Box Hill TAFE and was offered an apprenticeship from Multiplex in the last 3 weeks of the course. For the majority of my working life post school and university, I was an adviser to various Federal and State Labor politicians, finishing as a Policy Adviser to the Victorian Minister for Employment, Racing, Major Event and Tourism, John Pandazopoulos MP. I was always greatly interested in politics and current affairs growing up. We were never a family that had long-lasting debates around the dinner table, but I was a regular viewer of “4 Corners” and “This Day Tonight” with my dad and liked reading The Bulletin and Time Magazine. I studied politics in VCE and also at Melbourne University, I’d done Diplomas in Industrial Relations and Journalism, yet working in the field of politics was completely opposite to the issues and ideas involved on the academic side. The chicanery of politics didn’t suit my personality as I got older, and I found myself at a perplexing crossroad. I was 32 – what was I going to do for the next 30 years? It was a long and confusing path to get there – what do you do when what you first thought was your dream career no longer fulfils you? Once I made the difficult decision that an office environment wasn’t for me anymore, there was only one clear choice. I didn’t feel I was making a difference in my current occupation and wanted a job where I could have a more direct and long-lasting impact. I had often marvelled at the apartments and office towers developing in front of my office in the ANZ Tower in Collins Place – how a new floor was finished each week, everyone seemed in good spirits and they could see the results of their work each day. That’s what I wanted and even though I never had any previous building or woodworking experience (I couldn’t even hang a picture! ), my instincts told me a career in carpentry would work out. What challenges did you face and what kept you going? I struggled a lot with feeling out of place and so different in a very male -dominated industry. Although, on reflection, I see that it took a lot of confidence to make such a major career change, I felt reasonably unsettled during my apprenticeship - often concerned about how my skills were developing, was I learning enough each week, would I really make a successful career out of it? At some stages I wanted to give up as I felt very dispirited and confused. As difficult as it was at times, it was my tenacity, ambition and even that small amount of self-belief that one day, I'd make it, that pushed me through. Hmmm...I'd say starting from scratch as a pre-apprentice and working my way up the career ladder (even if I slipped down a few rungs or got my foot stuck along the way), and now having a successful business. I'm applying for my Builder's registration and aspire to do my own developments so for me that will be a real highlight. I've had a lot of doubters and sceptics so I'm glad I didn't let their negativity deter me from my goals. 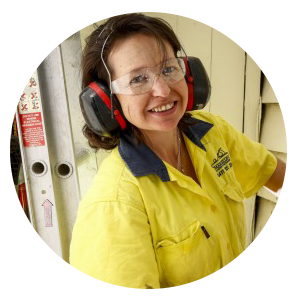 I've made some fabulous contacts with builders and other trades and especially female tradies so I know I can always call for advice on a tricky job and learn what others do in their line of work. Career scope and options are a major benefit of working in a trade, especially if you have your own business. You have more control over your career direction and the type of work you do every day. Our jobs will never be outsourced or made redundant, so we will always be in demand. 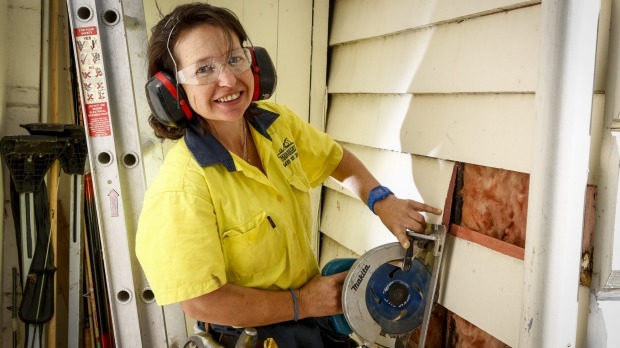 Carpentry offers great career opportunities to specialise in framing or restoration projects and to engage in further study to get your Builder's registration, so you can build and renovate houses. I enjoy being on the tools, but I can foresee a time when it will become too tiring and having a project management role to transition into will be an ideal retirement plan. I love being able to see the results of my efforts at the end of each day and knowing what I've built will be there forever. I love the creativity of carpentry - I can imagine the most bizarre structures and work out how to make them come to life. Carpentry suits my personality because it is so creative. I marvel at the remarkable Victorian and Edwardian period homes and their superb design and beauty and ultra modern homes which seem to defy gravity. You can essentially build to your imagination. 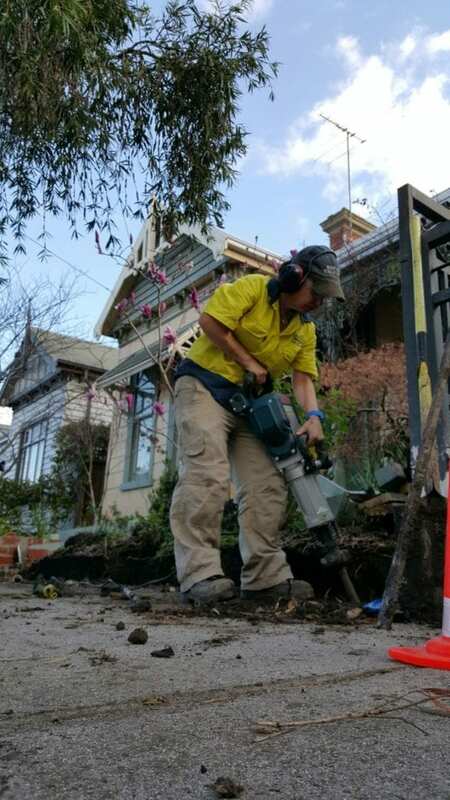 I also love the engineering aspect and the historical nature of houses being built by hand with saw logs cut on site – no power tools or nail guns. That was incredibly hard work and those older houses are a privilege to work on. I love working in roofs and under houses to sticky-beak at how traditional roof framing was done with hanging beams, underpurlings, hip rafters and struts. I also like discovering homes made by other creatures such as birds and rats - they are pretty resourceful, and their work stands the test of time! Renovating my own house, a 1950's weatherboard, was special. It was totally revolting when I bought it - even the gully trap was covered in, so it was part of the enclosed "patio". 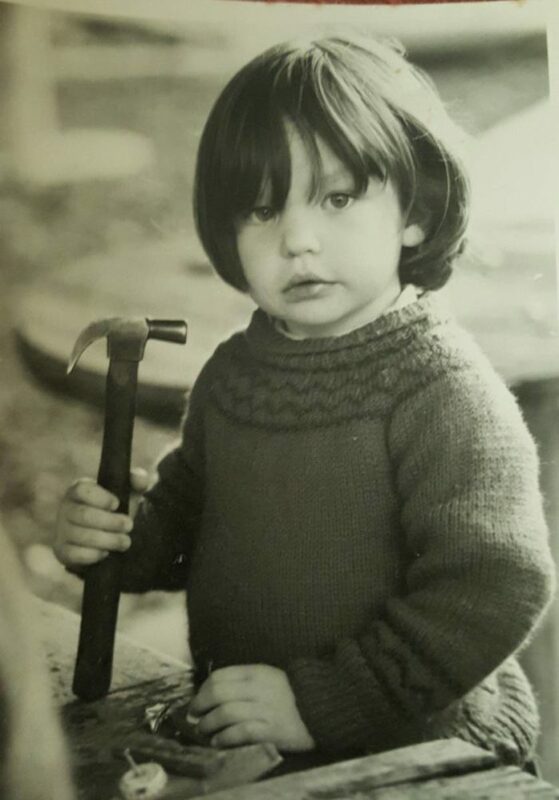 Having done the second half of my apprenticeship in housing, I’d seen how some very dowdy old houses could be transformed into fabulous homes and I progressively removed walls, fitted new hardwood flooring, updated all the wiring and plumbing and made it a very comfortable and welcoming place. I've taken on some big projects that I'd only previously done on a small scale ( such as decking and verandas around a house perimeter) and managed them successfully so that's been pretty exciting as well as a great confidence boost. Sleep! Surfing, hiking and bird-watching. I love playing with our cats, Olivia and Giuliano, and reading.